” A picture tells a thousand words,” and this week I’m sharing not five thousand words but my five favorite photos of Korea. These shots speak volumes to me and capture scenes, places, and events I love in Korea Welcome to week 303 (24/12/2016) of Travel Photo Thursday. Of all the photos of Korea that I’ve taken over the years, this is probably my favorite. The vibrant colors and the perfect symmetry of the dragon speak volumes to me. Taken at the “Nun’s Temple” just outside of Daejeon I will always remember that weekend as one of colorful, dragons, chanting monks, and the sound of pouring tea. I have never discovered the Korean name for this particular temple. It’s in the same neighborhood as Jangwansa, a Buddhist temple, and meditation retreat. My face always lights up when I come across this shot in my photos of Korea. 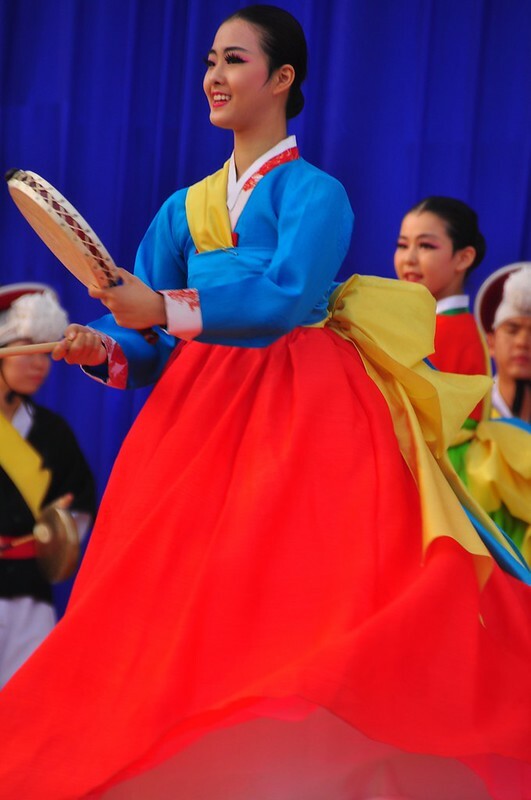 Performing at the annual Andong Mask Festival, her smiling face, the vibrant colors and the flow of her hanbok capture the moment perfectly. I took numerous photos of this bridge during the ten years I lived in Daejeon. 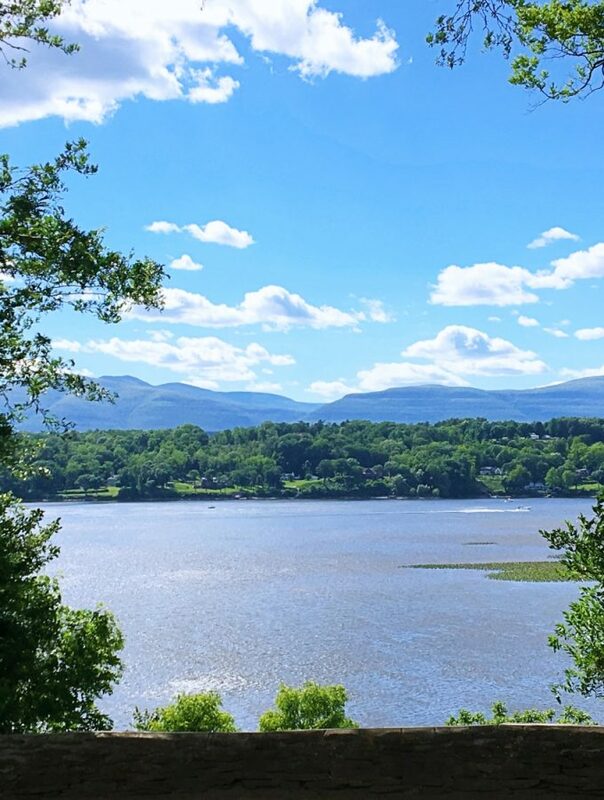 I love everything about this picture including the vibrant blue sky, the reflections, and the level of the river. 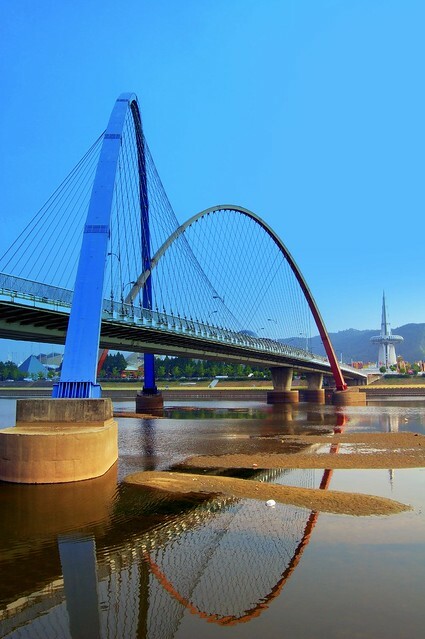 This bridge was built for the 1993 Daejeon Expo. While much of Expo Park has been dismantled, but the bridge and the needle (in the background) remain. 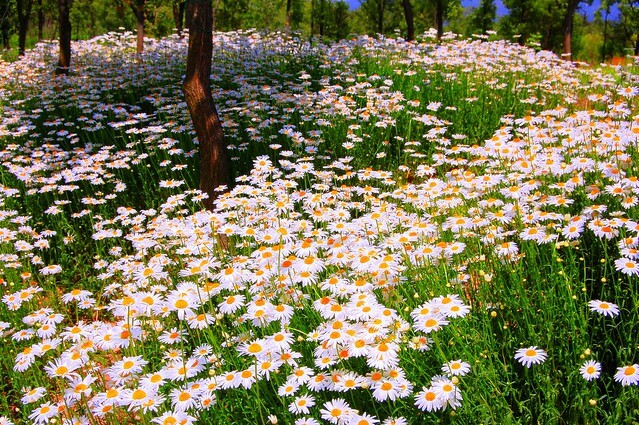 I love daisies, and these beauties jump up and scream! The Daejeon Arboretum became a favorite place over my years in Daejeon. This shot was taken on a near perfect weather day with perfect blue sky (typical in Daejeon) with just the right amount of sun streaming through the trees. A perfect ending to an iconic beach weekend and takes the final spot in my “Five photos of Korea” collection. Choosing favorite photos is never easy an easy task. Tell me your favorite in the comments. That daisy photo is superb. It invites me to roll in them – but of course I would not. 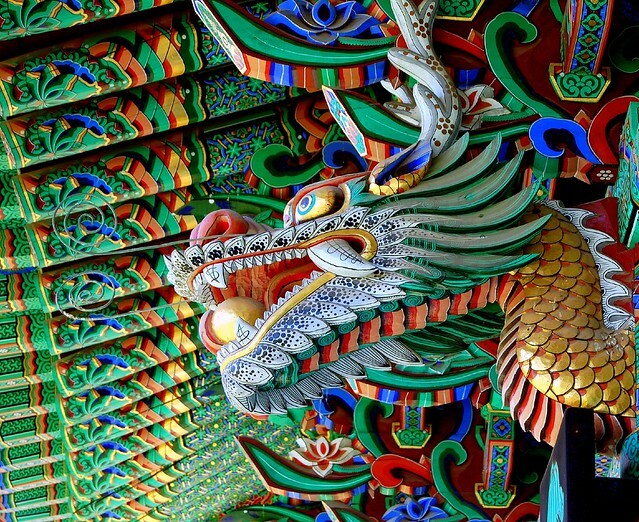 I was very interested to see your five favourite photos of Korea – you have so many! Hi, Jan! No, I wouldn’t roll in them either (well given a chance, maybe…lol). I am always amazed the number of photos I have! Well I loved all five photos and would have a difficult time trying to narrow it down any further! Beautiful colors and I too love daisies so could relate to that shot real easily. Hope all is well with you – where are you heading for your holiday break this year? Fantastic photos!I can’t wait to see Korea in person soon! Hi, Jill! When will you be heading this way? No flights booked yet but the plan is for 2 weeks in late April or early May. We will be visiting my daughter who is living in Seoul.And she is hoping to take us to Jeju – she has been but we haven’t – but not sure if that will happens. So excited! I imagine going through your photos would take a L-O-N-G time Nancy but these five pictures are definitely ones you should be proud of! I especially love the vibrant colors of the first two! Gorgeous! I am always a fan of sunsets, but my favorite photo here is actually the bridge. Hi, Rhonda. Living in Daejeon for 10 years I took photos of that bridge from just about ever angle. I always enjoyed trying to capture it from different angles. Great selection! So fun to see Korea captured so concisely. I’m a sucker for a sunrise photo, but the daisies are also fabulous. Wonderful photos! I particularly love the dragon one. So colorful! I can see why you like these photos. To me, they show very different aspects of Korea. 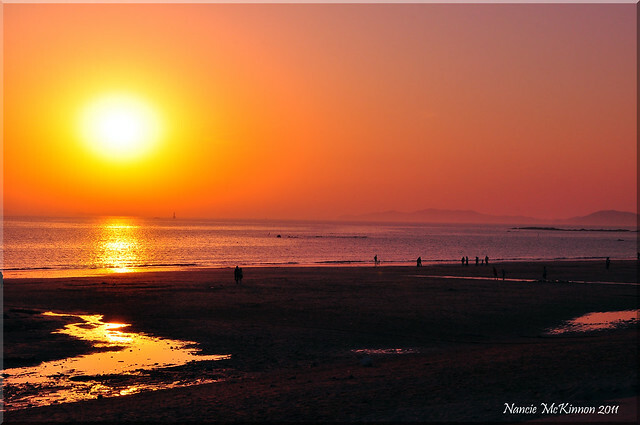 They show things we expect about the country like traditions and culture but, they also show other aspects of Korea that are not necessarily expected by people who doesn’t know a lot about the country (modern structures, beautiful beaches). Hope you can add more favorites to your collection. All great pics, Nancie, but I especially love the first one. The Nun’s Tempke must really be quite stunning. Thx for sharing. Wonderful photos! Love the bridge. 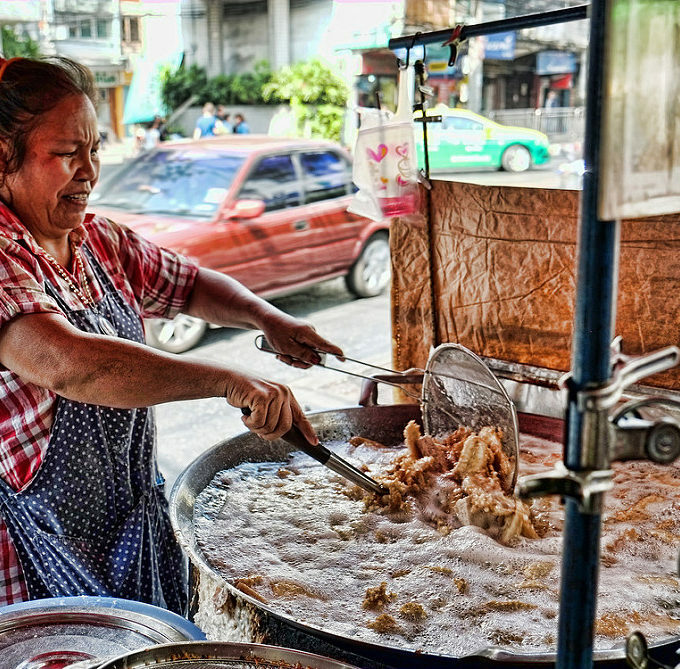 Your Nun’s Temple photo has always been one of my favorites on this blog. I like the daisies and the beach too as it displays a different part of Korea than the temples and big city that always come to mind for me. They’re all beautiful Nancie but my favorite is the first one. There’s so much color and detail. What kind of camera do you use?